WARNING: In BfA, an error will occur if a file listed in the TOC does not exist to load. As such, this addon has been updated with a pre-existing, empty ignore.lua file. IF YOU HAVE ALREADY CREATED AN ignore.lua FILE, YOU WILL NEED TO BACK IT UP OR IT WILL BE OVERWRITTEN. Any of the above will select a mount or pet at random. You can have an ignore list - see the INSTRUCTIONS for ignoring mounts and companions.txt file for details. Note: the game now provides feedback on if a mount is usable by your character or not. sCompanions will no longer attempt to summon a mount that you cannot use. There is no current support for aquatic mounts. Question #1: How could I put all of these in one macro? The following script will use sCompanions' slash commands depending on which modifier is held. Shift for ground, Control for a pet, and normal for air. Question #2: I don't like this mount/pet - how can I make sCompanions ignore it? As mentioned, read the "INSTRUCTIONS for ignoring mounts and companions.txt" file, added with version 1.2, for info on how to do this. Question #3: Why doesn't this work with Running Wild? Question #4: How can I add my seahorse to one of the macros? There are two choices - you can use a modifier, or you can check to see if you're swimming. Question #4: How can I use Travel Form if I'm in combat instead of a ground mount? You'd follow the basic example of the above macro. - known bug (still): randomly, ground mounts get put into both tables, meaning that their big flags show that they can fly. A /reload fixes this. - now uses new bit flags in API to identify mounts! No need to keep a list- air and ground mounts will automatically be determined. Any word on an update or does it work with 6/0/2? 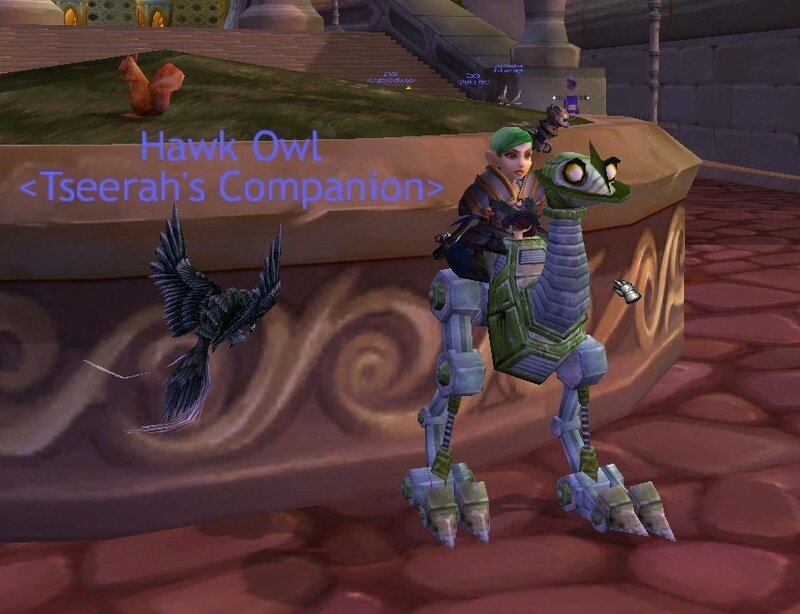 There were some changes to the mount journal and sCompanions needs fixed up. I haven't had a chance to get to it yet, as this patch came at a very busy time for me. Thank, you. I can wait. Thank you, works like a charm. Very efficient. Hmm... It may have something to do with the changes to the SlashCmdList table in 4.3. I'll have a look at it. Wow, would you look at that?.... I never realized that I had typed IsCtrlKeyDown() instead of IsControlKeyDown() when I did the example in the description. Probably did it because the macro conditional is [mod:ctrl]. >.< Good catch!!! Your macro in option #1 doesn't seem to work, though the addon works wonderfully if I use /scompanion command. Any suggestions for 4.3?